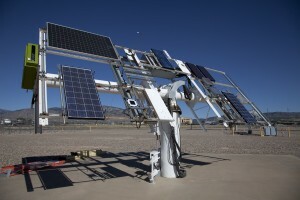 Two-axis tracking allows the array to be pointed normal to the Sun in order to maximize the irradiance hitting the array. This results in an angle of incidence equal to zero. 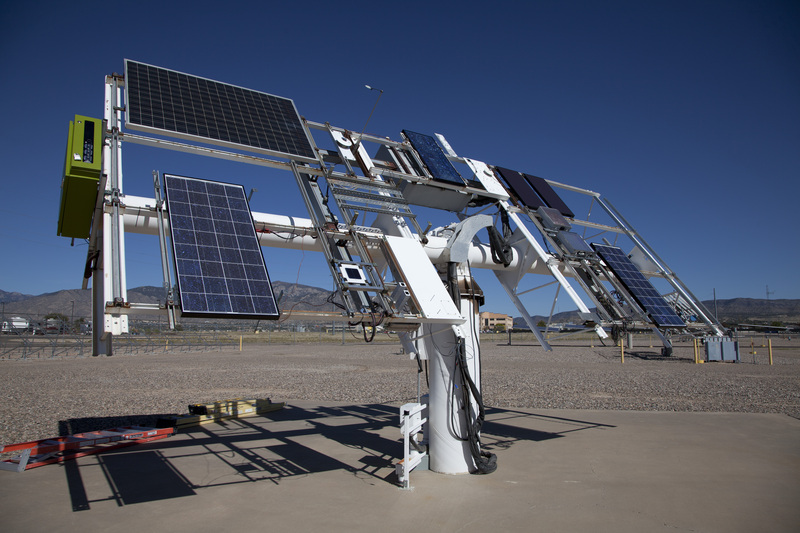 At Sandia National Laboratories, we have a two-axis tracker that we use to characterize PV modules, shown below.